Are you looking for a lawyer for your company? I am a legal counsel and I help entrepreneurs in developing their businesses and protecting their interests. I appreciate expeditious, high quality services and Customer satisfaction. I work in Poznan, but thanks to electronic means of communication, I assist Customers from all over Poland. I provide professional legal support in the daily work of entrepreneurs, so that they could focus on running and developing their businesses. I advise, assist and fully involve in ongoing cases. My goal is the best protection of the interests of Customers, who I represent. Currently, I run my own Law Firm in Poznan. 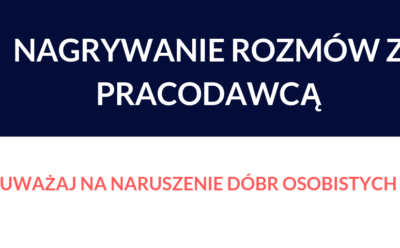 Thanks to electronic means of communication I assist Customers from all over Poland. I particularly emphasize the availability and the expeditious communication, in order to respond to Customers’ needs on an ongoing basis. Profile of my Law Firm focuses primarily on assisting entrepreneurs, particularly those from the Internet and new technologies sector. Below you will find possible examples of cooperation. I always try to adapt to Your needs, so please contact me. Together we will determine the exact scope of the order, pay and completion time. Certainly we’ll come to an agreement. The service includes the preparation of a document adjusted to Your needs – a contract, terms and conditions, a reply to a letter or e.g. a demand for payment. Before the work starts, we set together all the important issues that should be included in the document. I also answer Your questions related to its preparation. If You already have an agreement or terms and conditions, I can carry out its verification from the perspective of securing Your interests. Completion time usually does not exceed 2-5 working days. You will receive information about the completion time together with the evaluation of an order. Remember that the evaluation of an order is always free of charge and does not oblige You to use my assistance. The service includes giving legal opinion to answer Your question. The opinion can be given in writing or via electronic means of communication (email, phone). Giving an opinion is preceded by an in-depth analysis of the case and, if necessary, additional questions. I also reply to Your questions regarding the opinion. Completion time usually does not exceed 1-3 working days. You will receive information about the completion time together with the evaluation of an order. Ongoing legal services means a personal lawyer for Your business. This way you are assured of a legal support in Your day-to-day business operations. It is the best solution that lets You reduce legal risks in Your company on an ongoing basis. As part of the support You receive ongoing advice on solving legal problems of Your company, including debt collection, evaluation and drafting of contracts or terms and conditions, contact with authorities and contractors. We communicate in a form convenient for you – in person, by email or phone. As part of the subscription You get an attractive rate for an hour of legal work. The minimum number of hours included in the subscription is 2 hours. We calculate fees to the nearest 15 minutes. We keep You informed on the progress of work and time left for use as part of the subscription. Mr. David Bugajski drew up for us terms and conditions of the online service. We are very pleased with the result obtained and the course of cooperation. Despite the significant complexity of the project, cooperation took place smoothly, professionally and nicely. 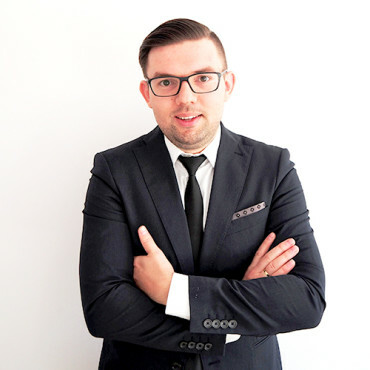 I recommend legal counsel David Bugajski as a reliable and professional lawyer. We work together since 2012 and so far I could always count on competent legal support with my business projects.